I am a Consultant Speech and Language Therapist in trans and non-binary voice and communication, voice coach, lecturer, supervisor, musician and author. I offer a range of services to facilitate individuals discovering and sustaining their authentic, confident voice. I have worked extensively with trans women, trans men and non-binary people at all points in their journey to find pitch, resonance and communication parameters which are congruent with and affirming to individuals. My therapy sessions are client centred, and I actively acknowledge implicit heterocisnormative bias and avoid stereotyping. I originally trained as an actor, singer and pianist at Guildhall School of Music & drama and Trinity College London and worked in television, film, theatre and radio for 20 years. See www.imdb.com I hold an MSc in speech and Language Sciences with distinction from UCL and am a specialist in voice and stammering. I work both in independent practice and the NHS. I am Head of Speech and Language Therapy at the London Gender Identity Clinic, where I have worked since 2009, and am the UK's first full-time speech and language therapist in trans and gender diverse voice in the NHS. I supervise and train speech and language therapists in this field nationally and internationally. Registered Speech and Language Therapist with the Health and Care Professions Council (HCPC). London Region Member of the Clinical Reference Group for NHS England Gender Identity Services – the first appointed speech and language therapist to this position. Council Member for the British Association of Gender Identity Specialists (BAGIS). Diverse Voice and Communication Clinical Excellence Network (CEN). National Adviser for the Royal College of Speech and Language Therapists (RCSLT) in trans and non-binary voice. 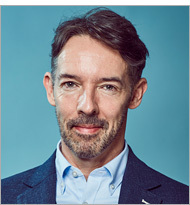 Member of World Professional Association for Transgender Health (WPATH) and European Professional Association for Transgender Health (EPATH) and Scientific Committee for EPATH 2016-18. Lecturer at University of Greenwich. External Examiner for Royal Central School of Speech and Drama (MA/MFA in Vocal Studies). I am one of the lead speech and language therapist internationally in trans and non-binary voice. My many years' experience of working with diverse clients means I am able to work quickly and go straight to the key, most relevant features to enable individuals to transform their voice and communication. 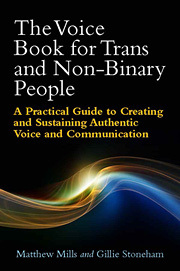 I am co-author with Gillie Stoneham of the ground-breaking practical guide The Voice Book for Trans and Non-Binary People which celebrates our clients as co-collaborators at the heart of the book. It is available, along with training videos, from Jessica Kingsley Publishers www.jkp.com and Amazon. Mills, M., Stoneham, G., Kurji-Smith, N., Gorb, N., & Elias, A. (2018). 'New horizons: responding to service demand.' Royal College of Speech & Language Therapists Bulletin (February). Mills, M., Stoneham, G., & Georgiadou, I. (2017). 'Expanding the evidence: developments and innovations in clinical practice, training and competency within voice and communication therapy for trans and gender diverse people.' International Journal of Transgenderism, 18(3), 328-342. Mills, M. & Stoneham, G. (2016) 'Giving voice to our transgender clients: developing competency and co-working.' Royal College of Speech & Language Therapists Bulletin (July). Stoneham, G., & Mills, M (2018). 'Gender and Change'. Festival of Change, March 2018, Magdalene College, Cambridge University, Cambridge, UK. Mills, M. & Gorb, N. (2017). 'Charting the Unknown: new client outcomes and journeys of vocal identity.' 3rd Scientific Symposium, British Association of Gender Identity Specialists, October 2017, Glasgow, UK. Mills, M. (2017). 'Challenging the Agenda: within and without.' RMT LGBTQ Conference, May, 2017, Aberystwyth, UK. Mills, M., & Stoneham, G. (2017). 'Tackling visibility: towards developing a protocol for voice and communication therapy for trans men.' Proceedings of the European Professional Association of Transgender Health (EPATH). April 2017, Belgrade, Serbia. Mills, M., Lenihan, P. & Gran, J. (2017). 'Hearing trans voices: authenticity and identity in voice change and the intersectional role of speech and language therapy and psychology.' Proceedings of the European Professional Association of Transgender Health (EPATH). April 2017, Belgrade, Serbia. Gorb, N, Mills, M. & Stoneham, G (2016). 'Voice and Identity'. 2nd Scientific Symposium, British Association of Gender Identity Specialists, October, 2016, Leeds, UK. Mills, M. (2015). 'Gender and Voice.' International Centre for Voice, World Voice Day, April 2015, Royal Central School of Speech and Drama, London. Treatment locations: Angel Islington, and Bloomsbury (Central London).